Carrie first learned about yoga in Mr. Iyengar's book, Light on Yoga, where she tried, much to her sister's amusement, to mimic the postures. After resorting to a less intense physical study of yoga, it became a lifelong learning and sharing process. Carrie has been in the complementary healing arts as a Nationally Certified and now, State Licensed, Massage Therapist and Reiki practitioner and Master for over 20 years. Her first in-person yoga teacher taught with humor and Mudita (Joy), so she learned early that even though the study of yoga is serious, you have to be inflexible. The more Carrie learns about the practice of yoga, the more she realizes that less is more. She teaches gentle Yoga for Stress Relief, Yoga of the Heart, Yoga for Asthma, Meditation, and other workshops. She studied Massage Therapy at Irene's Myomassology Institute in Southfield, MI. She did her 200 hour training at Rising Sun Yoga, now Yoga 4 Peace, in Southgate, MI. Meditation Teacher Training and Seminary Program, through The Temple of Kriya Yoga in Chicago, IL. Her 500 hour Therapeutic Yoga training was at Ananda Seva in Santa Rosa, CA. She learned Yoga of the Heart: Cardiac and Cancer Certification, with Nischala Joy Devi, the creator and former director of Stress Management of Dr. Dearn Ornish's Program for Reversing Heart Disease. She trained in Trauma Sensitive Yoga in Boston, MA, and Street Yoga. 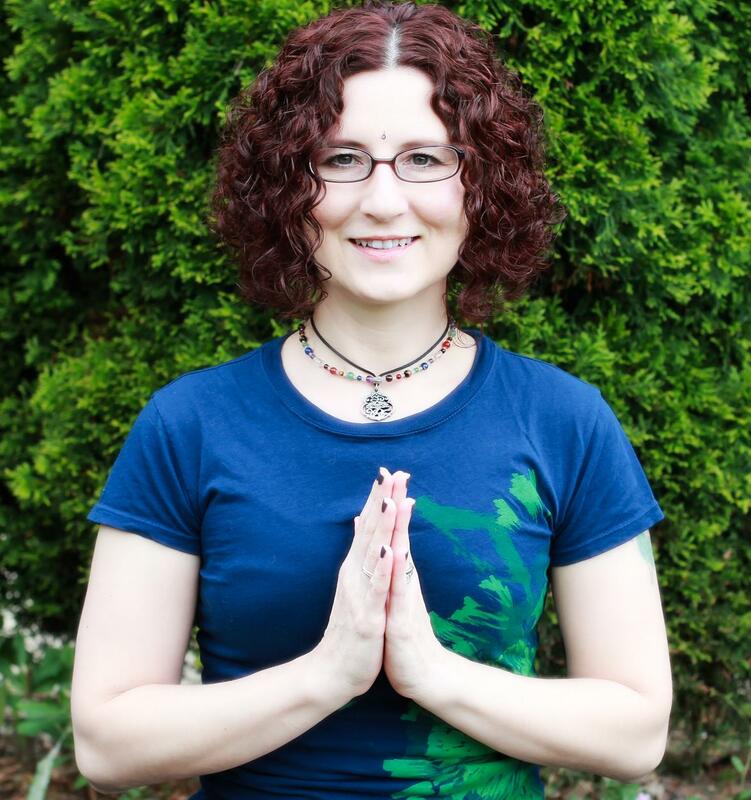 Carrie is a State of Michigan Licensed Massage therapist, an E-RYT 500, (Experienced Registered Yoga Teacher at the 500 hour level), through Yoga Alliance, as well as a member of the Assoiciated Bodywork and Massage Professionals. Through Eight Gate Acupuncture, Carrie is now studying Traditional Chinese Medicine since 2016. But, she knows that fancy titles don't make a good teacher. She is always striving to transform herself into a better, happier human being to be around, and learn techniques to help others on their own day to day path. Life is all about transformation! Changes are always happening around us. We can learn to manage changes in a positive way, encouraging equilibrium, wellness, and even happiness! We at Transform Therapies hope to be able to assist you in learning to adapt to new ways of being in your body through various massage therapy techniques, yoga classes, workshops, and private sessions, meditation, Ayurveda lifestyle practices, guided relaxation, stress management techniques, Reiki, and more! It is our goal to help people transform their own lives even more with private, personal yoga training, massage and specialized yoga therapy for specific concerns. If you've never experienced a private yoga session, please don't be intimidated. Private yoga sessions are for beginners and advanced practitioners both. As a matter of fact, a private session is a great way to start practicing, especially if you're nervous about jumping right into a class. To focus on a specific concern such as anxiety, stress, depression, weight loss, gaining strength, etc. Call, message, or email to make your appointment!